The Boston Marathon Qualifying times are changing for the 2020 Boston Marathon and beyond. This means you are going to have to run even faster to just qualify going forward. Find out about this change and see a history of the qualifying times for past Boston Marathon races. As a result of the fast cut-off time for the 2019 Boston Marathon, the BAA has decided to make the actual qualification times even faster than before. This means that runners will now have to plan to run several minutes faster than they have before to even be able to enter the registration process for the Boston Marathon. In 1970, the BAA started having qualification times for the Boston Marathon. At the time, it was a quite generous 4 hours for people to run a marathon to qualify for Boston. Over the next number of years, the BAA adjusted the time every couple/few years to try and find a sweet spot for runners without overloading the capacity of the Boston Marathon organization. Here is a chart showing the qualification times over the years. If you did not know the history of the Boston Marathon qualifying times, you may be surprised to see that some years the qualifying time was faster than even the new Boston Marathon qualifying times! As you can see, even with the increased qualification standards for the 2020 Boston Marathon, they are still easier than they were many years ago! But, that doesn’t really matter to the thousands of runners who worked really hard to get a qualifying time by the old standards – especially since, for many, hitting a race 5 minutes faster could be a 2 year process. To see the historical reasons for each of these changes, check out the BAA page here. Note: One important note for those that may have run a Boston Marathon qualifying time since September 15 under the old standards – the BAA has said the time has to actually be under the new standards. This is in spite of the fact that the new standards were only announced yesterday. As someone who has not yet qualified for Boston (but as often joked that I need to get 30 minutes faster or 30 years older! ), I do not really have any skin in this particular game at this point. I am merely commenting on this as a spectator to the process with many, many readers and friends who are affected by this change. First of all, I totally get and understand this change and it makers perfect sense. With the cut-off time each year increasing by at least one minute over the previous year, this change simply means an increase of the qualifying time by 8 seconds over the cut-off time from this year (which would, interestingly enough, have kept 220 runners out had this been the standard for the 2019 Boston Marathon). Rather than leave many runners in the dark, this draws a new line and gives them a number to hit for. However, I would guess that there will still be a cut-off time next year that will be faster than the qualifying time – possibly by as much as 30 seconds or more! But, at least this is a number that will eliminate the number of people who had hoped their time may just make it this year. Second, for many runners, they never actually plan on running the Boston Marathon (due to travel, timing, cost, etc). but they have at least always been able to use the fact that they have a BQ, a Boston Marathon qualifying time. That does not require them to enter, just for their own personal knowledge that they did the time. While over 7,000 runners ran such a time and did not get in this year, that number is definitely a lot higher for those that qualified but did not enter. Going forward, that claim to a BQ just got that much harder. However, since I am talking about runners here who do not actually sign-up for the Boston Marathon, this is not that big of a deal over their personal goals. My biggest problem with these new times is for those runners 80 and older. I stand in awe of runners that are over 80 years of age that are still able to run 26.2 miles. That is incredible! Personally, I think that just crossing a finish line at that age should qualify them for the Boston Marathon – or at least finishing a marathon under the cut-off time (which is normally around 6 hours). For those of you who this will affect the most since you might have just qualified this year, I really feel for you. It is hard to have the goal posts moved by 5 minutes – even if the cut-off time was almost that time anyway. Here is hoping that you can pull it off for next year. 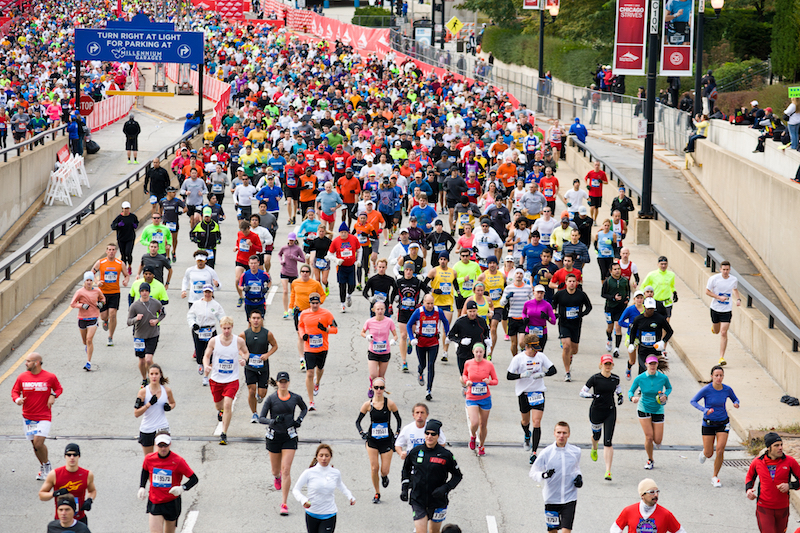 In case you want to start planning now, here are some tips for finding a good marathon for your Boston Marathon qualifying time. 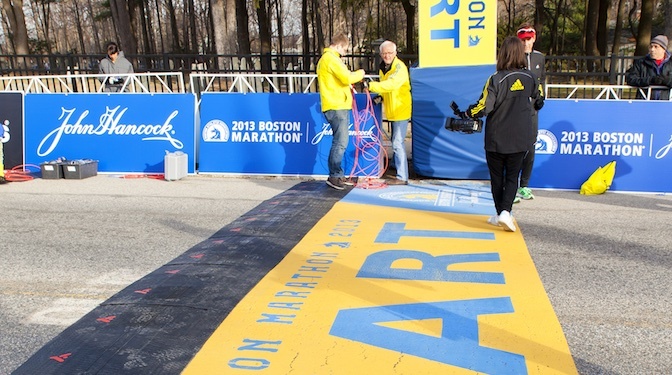 The 2019 Boston Marathon Cut-Off Time Was Tougher Than Ever! Typo perhaps for 1981-83 ? Thanks! You were absolutely correct! 🙂 I have updated it. Bloody bastards are trying to ruin my life! My dad will be dead before I ever qualify for Boston. Thanks for Nothing!